Get Lean and Burn Fat! 100% Natural and Delicious Protein Shake Kits from EnergyFirst! 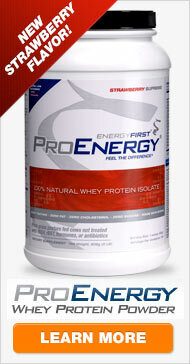 When it comes to quality, ProEnergy Whey Protein Powder is unsurpassed by any other brand currently available. Pharmaceutical grade whey protein isolate - the only type used in ProEnergy - is the cleanest, highest-potency, most effective form of this important protein. Can you expect results in one day? Try us out, and you'll soon find that ProEnergy can help you reach and maintain a healthy weight, improve immune health, boost your energy naturally, stabilize your blood sugar levels, and increase your ability to concentrate effectively, among other benefits. ProEnergy Whey Protein Isolate Powder - potent, pure and pharmaceutical grade fat-burning protein. Greenergy Superfood - your Daily serving of powerful vegetables, nutrients and minerals. Omega Mix Blend - the essential fats your body needs for optimum health. 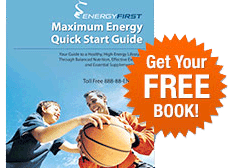 The quickest and easiest way to get started. Includes 1 jar of ProEnergy Whey Protein Isolate, 1 OmegaEnergy Blend, and 1 Greenergy. 1 Month Kit - GREAT DEAL! 3 Month Kit - BEST OFFER! 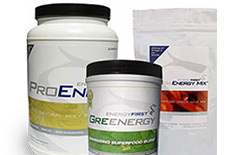 This Three Month Package Includes 6 ProEnergy 100% Whey Isolate, 5 Greenergy, 4 Omega Mix and 2 EnergyONE y.